What makes this short movie special is the music. Specificaly the song when Mariza and the Fisherman dance up the steep hill. The piece you hear during those moments is a edited version of a very famous Greek song called “Zorba’s Dance!”. 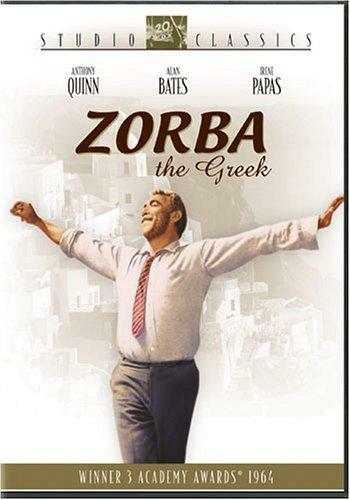 It was composed by the Greek composer Mikis Theodorakis for the movie Zorba the Greek which was released back in 1964!!! Thats a few years ago to say the least. Zorba’s Dance became an instant hit! Through out the years it has been heard being played in Greek tavernas by live bands, in school gyms for dancing lessons, praties, in Holiday resorts on Greek islands where it is very popular with foreign guests and many more places. It has been dubed in remixed in various forms and this way has been enjoyed by many more people! Fun videos with Zorba the Greek! Zorba the Greek in Vienna?! A surprise for the people in the center of Birmingham!